The Franklite Aime 3 Spotlight Plate is in a Chrome finish with fully adjustable heads. The Firstlight Aqua 4 Spot Plate is in an Aluminium finish with clear glass. The Oaks Bey Spotlight Plate is in a Polished Chrome finish. The Oaks Biba 3 Spotlight Plate is in a White finish. The Franklite Campani 3 Light Plate is in a Brushed Bronze finish. The Franklite Campani 6 Light Ceiling Light is in a Brushed Bronze finish. The Franklite Campani 3 Light Plate is in a Chrome and Satin Nickel finish. The Franklite Campani 6 Light Ceiling Light is in a Chrome and Satin Nickel finish. The Firstlight Country Three Spotlight Plate is in a Copper finish. The Firstlight Country Three Spotlight Plate is in a Cream finish. 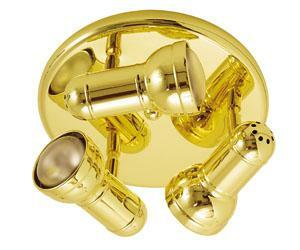 The Oaks Ecco 4 Spotlight Plate is in an Antique Brass finish. 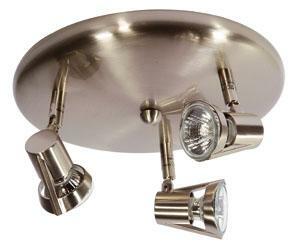 The Oaks Ecco 4 Spotlight Plate is in an Antique Chrome finish. The Firstlight Focus LED Spotlight Plate is in a Chrome finish with clear acrylic bubble shades. The Franklite Lutina Three Light Decorative Spotlight Spiral Bar is in a Bronze finish with Satin White glass shades. The Franklite Lutina Three Light Decorative Spotlight Spiral Bar is in a Chrome finish with Satin White glass shades. The Franklite Lutina Three Light Decorative Spotlight Spiral Bar is in a Satin Nickel finish with Satin White glass shades. The Firstlight Magnetic Three Spotlight Plate has 3 magnetic heads in a Chrome finish. The Firstlight Magnum Three Spotlight Plate is in a Brushed Steel finish. The Oaks Milo 3 Spotlight Plate is in Black with chrome trim. The Oaks Milo 3 Spotlight Plate is in white with chrome trim. The Oaks Quattro 63 Three Spotlight Plate is in a White finish. The Oaks Quattro 63 Two Spotlight Bar is in a White finish. The Oaks Quattro 80 Three Spotlight Plate is in a White finish. The Oaks Quattro 80 Two Spotlight Plate is in a White finish. The Oaks Regency 3 Spotlight Plate is in an Antique Brass finish. The Oaks Regency 3 Spotlight Plate is in an Antique Chrome finish. 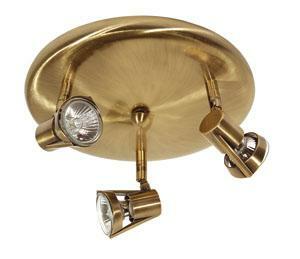 The Oaks Regency 3 Spotlight Plate is in a Brass finish. The Oaks Regency 3 Spotlight Plate is in a Chrome finish. 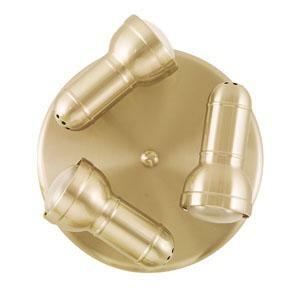 The Oaks Romore 3 Light Spotlight Ceiling Light is in an Antique Brass finish. 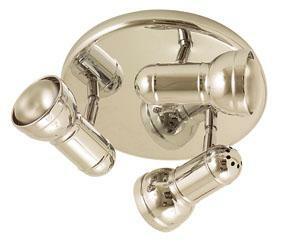 The Oaks Romore 3 Light Spotlight Ceiling Light is in an Antique Chrome finish. The Firstlight Runner 3 Spotlight Plate is in a White finish. The Franklite Studio 3 Spotlight Plate is a Chrome finish spotlight with fully adjustable heads. The Franklite Tivoli Three Spotlight Plate is in a Bronze finish. The Franklite Tivoli Three Spotlight Plate is in a Satin Nickel finish with Chrome highlights. The Oaks Tona Spotlight Ceiling Light is in a Chrome finish with crystal glass shades. Luxury Lighting supply a range of ceiling spotlights at competitive prices. 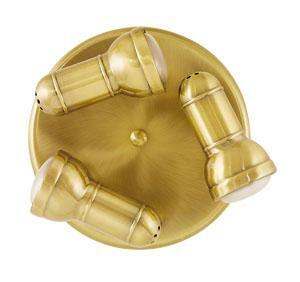 These ceiling plate spotlights are available in various finishes, sizes and designs to suit your tastes and home decor. View the full collection of ceiling plate spotlights online today we have styles to suit all.